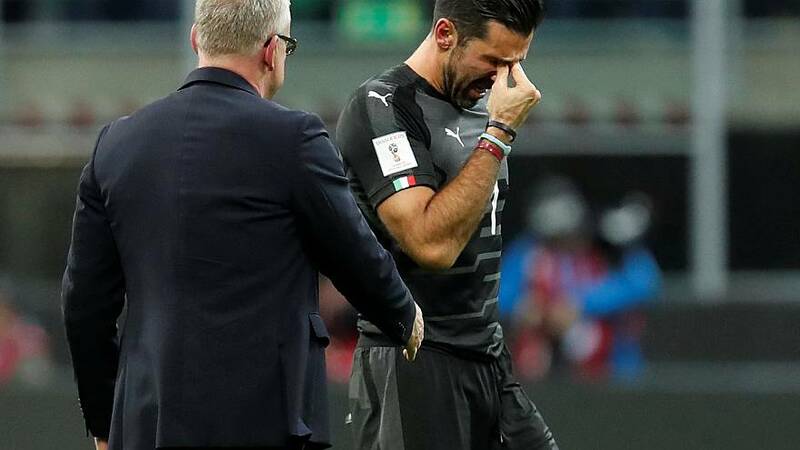 A tearful Gianluigi Buffon has ended his 20-year goalkeeping career with Italy in the saddest possible way as they failed to qualify for the World Cup for the first time in 60 years. The 39-year-old said after the goalless playoff against Sweden would be the last of his 175 appearances. He made his full international debut in 1997 against Russia, the last time Italy took part in a playoff to qualify for the World Cup. They only just made it then, scraping through 2-1 on aggregate. Then in 2006, Buffon helped Italy win the World Cup in Germany, beating France in the final in a penalty shoot-out after a one all draw. The 2010 and 2014 World Cups were less successful. Italy was eliminated in the group stages of the finals in South Africa and Brazil respectively, but Buffon remained with the team hoping for one last World Cup in Russia. But it was not to be.